Consultant shall not be required to execute certificates or consents that would require knowledge, services or responsibilities beyond the scope of this Agreement, and shall not be required to sign any documents that would result in Consultant having to certify the existence of conditions whose existence the Consultant cannot ascertain. Any certificate will state that it is based on the best of the Consultant’s knowledge, information and belief. (1) Consultant shall exercise the reasonable standard of care to comply with requirements of all applicable codes, regulations, and current written interpretation thereof published and in effect during the Consultant’s services. In the event of changes in such codes, regulations or interpretations during the course of the Project that were not and could not have been reasonably anticipated by the Consultant and which result in a substantive change to the construction documents, the Consultant shall not be held responsible for the resulting additional costs, fees or time, and shall be entitled to reasonable additional compensation for the time and expense of responding to such changes. (2) The client acknowledges that the requirements of federal, state, and local laws, rules, codes, ordinances, and regulations, including the Americans with Disabilities Act, are subject to various and possible contradictory interpretations. The Consultant will use reasonable professional efforts and judgment to correctly interpret and apply such requirements. Consultant, however, cannot and does not warrant or guarantee that the work will comply with the interpretation of such requirements by others. (1) If the client reuses or makes any modification to Consultant’s designs, documents or work product without the prior written authorization of Consultant, or uses the documents without retaining Consultant, the client agrees, to the fullest extent permitted by law, to release Consultant, its officers, directors, employees and subconsultants from all claims and causes of action arising from such uses, and shall indemnify and hold them harmless from all costs and expenses, including the cost of defense, related to claims and causes of action to the extent such costs and expenses arise from the Client’s modification or reuse of the documents. (2) Client expressly acknowledges and agrees that the documents and data to be provided by Consultant under the Agreement may contain certain design details, features and concepts from Consultant’s own practice detail library, which collectively may form portions of the design for the Project, but which separately, are, and shall remain, the sole and exclusive property of Consultant. Nothing herein shall be construed as a limitation on Consultant’s right to re-use such component design details, features and concepts on other projects, in other contexts or for other clients. (1) Notwithstanding any other term of this Agreement, if Consultant has any duty to design the Project within a Construction Budget, its duty shall be limited to responsibilities that are reasonably within its direct control, thereby excluding matters that are beyond the control of Consultant including, but not limited to, unanticipated rises in the cost of labor, materials or equipment, changes in market or negotiating conditions, and errors or omissions in cost estimates prepared by others. 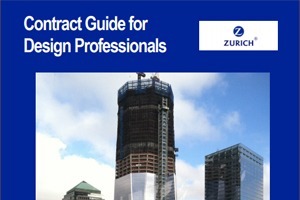 Therefore, any such redesign effort required of Consultant necessary to maintain the project within the Construction Budget that is not due specifically to the negligent act error, omission, or willful misconduct on the part of Consultant shall require an increase to the compensation of Consultant. (2) It is recognized that neither the Consultant nor its client has control over the cost of labor, materials or equipment, over the Contractor’s methods of determining bid prices, or over competitive bidding, market or negotiating conditions. Accordingly, Consultant cannot and does not warrant or represent that bids or negotiated prices to construct the part of the project for which it has provided services will not vary from the Owner’s budget for the Project or from an estimate of the Cost of the Work or evaluation prepared or agreed to by Consultant. CONFLICTS/INCONSISTENCIES. In the event of any inconsistencies within or between any parts or provisions of this subcontract, the primed contract, any Schedule, Exhibit or Attachment to this Contract, any Task Order or any applicable standards, codes or ordinances, the Consultant will (1) provide the better quality or greater quantity of services or (2) comply with the more stringent requirement; either or both in accordance with the client’s interpretation. Standard of Care and Indemnification. Notwithstanding any clause in this Agreement to the contrary, it is agreed that Consultant expressly disclaims all express or implied warranties and guarantees with respect to the performance of professional services, and it is agreed that the quality of such services shall be judged solely as to whether Consultant performed its services consistent with the professional skill and care ordinarily provided by firms practicing in the same or similar locality under the same or similar circumstances (hereinafter the “Standard of Care”), and it is further agreed that Consultant shall not defend an Indemnitee against any professional liability claim and shall be not be required to indemnify any Indemnitee for anything other than liabilities and damages arising out of third party claims to the extent caused by the Consultant’s willful misconduct or negligence. Consultant shall indemnify and hold harmless the Client, its officers, directors, employees, from and against those liabilities, damages and costs that Client is legally obligated to pay as a result of the death or bodily injury to any person or the destruction or damage to any property, to the extent caused by the willful misconduct, negligent act, error or omission of the Consultant or anyone for whom the Consultant is legally responsible, subject to any limitations of liability contained in this Agreement. Consultant will reimburse Client for reasonable defense costs for claims arising out of Consultant’s professional negligence based on the percentage of Consultant’s liability. Consultant shall indemnify and hold harmless (but not defend) the Client, its officers, directors, employees, from and against those liabilities, damages and costs that Client is legally obligated to pay as a result of the death or bodily injury to any person or the destruction or damage to any property, to the extent caused by the willful misconduct, negligent act, error or omission of the Consultant or anyone for whom the Consultant is legally responsible, subject to any limitations of liability contained in this Agreement. Consultant will reimburse Client for reasonable defense costs for claims arising out of Consultant’s professional negligence based on the percentage of Consultant’s liability. Consultant shall indemnify and hold harmless the Client, its officers, directors, employees, from and against those liabilities, damages and costs arising out of third party claims to the extent caused by the willful misconduct, negligent act, error or omission of the Consultant or anyone for whom the Consultant is legally responsible, subject to any limitations of liability contained in this Agreement. Consultant will reimburse Client for reasonable defense costs for claims arising out of Consultant’s professional negligence based on the percentage of Consultant’s liability. Sample 4: Include a duty to defend in the main text for CGL type claims but add sentence at conclusion to carve out professional liability claims. Consultant shall indemnify, defend and hold harmless the Client, its officers, directors, employees, from and against those liabilities, damages and costs arising out of third party claims to the extent caused by the willful misconduct, negligent act, error or omission of the Consultant or anyone for whom the Consultant is legally responsible, subject to any limitations of liability contained in this Agreement. Consultant will reimburse Client for reasonable defense costs for claims arising out of Consultant’s professional negligence based on the percentage of Consultant’s liability. The duty to defend shall not apply to professional liability claims. The foregoing defend, hold harmless and indemnity obligations of this paragraph shall apply solely to any such causes of action, damages, costs, expenses or defense obligations covered by Consultant’s Insurance specified in this Agreement. Consultant agrees to reimburse Client for reasonable defense costs, provided however that such obligation is limited to the portion of such costs equal to the percentage of Consultant’s liability as ultimately determined to be caused by the willful misconduct or negligence of Consultant using principles of comparative fault. To the fullest extent permitted by law, the total liability, in the aggregate, of Consultant, Consultant’s officers, directors, partners, employees, agents, and subconsultants, to Client, and anyone claiming by, through, or under Client for any claims, losses, costs, or damages whatsoever arising out of, resulting from or in any way related to this Project or Agreement from any cause or causes, including but not limited to negligence, professional errors and omissions, strict liability, breach of contract, or breach of warranty, shall not exceed the total compensation received by Consultant or $50,000 whichever is greater. A. Suspension by Consultant. If client fails to make payments of the consultant’s Fee or reimburse expenses when due, other than in connection with a good faith dispute of the amount owing or by reason of the breach of this Agreement by Consultant, Consultant may suspend performance of services hereunder if such failure to pay continues for fifteen (15) days following notice to client of such breach. Many contracts include a clause in the disputes provision of the agreement stating that the “prevailing party” shall be entitled to recover its attorneys fees from the other party. The problem is twofold. Of utmost importance is the fact that professional liability policies do not cover attorneys fees that an insured design professional is required to pay only as the result of a contractual liability clause such as the prevailing party attorneys fees clause. Since the prevailing party attorneys fees clause may create uninsurable losses, the preferred course of action is to strike this clause from design professional contracts. But if the project owner refuses to strike it, and the design professional is willing to assume the risk of these uninsurable attorneys fees, then at a minimum, the term “prevailing party” needs to be carefully defined. In order to avoid confusion, never agree to a prevailing parties attorneys fee unless you add a definition such as the the one below. Note that there are numerous ways to draft a definition and different percentages can be used at the option of the parties. The important thing is that there be some definition of what this important term means. “Prevailing party” is the party who recovers at least 67% of its total claims in the action or who is required to pay no more than 32% of the other party’s total claims in the action when considered in the totality of claims and counterclaims, if any. In claims for monetary damages, the total amount of recoverable attorney’s fees and costs shall not exceed the net monetary award of the Prevailing Party. On the basis of the site visits, the Consultant shall keep the Owner reasonably informed about the progress and quality of the portion of the Work completed, and report to the Owner (1) known deviations from the Contract Documents and from the most recent construction schedule submitted by the Contractor, and (2) defects and deficiencies observed in the Work. Consultant shall perform its services consistent with the professional skill and care ordinarily provided by firms practicing in the same or similar locality under the same or similar circumstances (hereinafter the “Standard of Care”). If the client, other than as allowed by the Contract or other than due to the fault of the consultant, fails to pay the consultant undisputed amounts due within thirty (30) days after the time that such amounts are due to be paid, the consultant may, upon seven (7) additional days’ written notice to the client, stop the Work until payment of such undisputed amount is paid. The Contract Time and Contract Sum shall be extended appropriately to reflect the Contract’s reasonable costs of shut-down, delay and start-up. Consultant shall perform its services to meet the schedule as expeditiously as is consistent with the exercise of professional skill and care and the orderly progress of the Project. Notwithstanding the foregoing, in no event will Consultant be responsible for damages due to delays beyond Consultant’s reasonable control. The use of a waiver of consequential damages clause can be great value to avoid surprise or unknown damages that were not foreseeable or contemplated by the parties – particularly for the fees charged by the design firm under the contract. You can add waiver clause such as that found in AIA B101, or you can add a longer version that defines what is included in the term “consequential damages” which is otherwise ill defined word. The client shall not withhold amounts from the consultant’s compensation to impose a penalty or liquidated damages on the consultant, or to offset sums requested by or paid to contractors for the cost of changes in the Work unless the consultant agrees or has been found liable for the amounts in a binding dispute resolution proceeding. Notwithstanding any clause in this Agreement to the contrary, Consultant expressly disclaims all express or implied warranties and guarantees with respect to the performance of professional services.